One of the good things about WordPress is the fact that you can use it to create nearly every kind of site. For people running educational sites, they can find the content management system (CMS) to be quite beneficial. This is particularly the case as there are so many good quality WP themes and it will be easy to find a good education WordPress theme. One of the questions you may have in your mind is on why you should choose a special WP theme. One of the reasons is that an education WordPress theme allows you to create almost any kind of site. In case you intend to run an educational site, these themes can come in handy. Since there are so many WP themes, you will not have any problems finding a perfect option. These themes also have dedicated features that you would otherwise have spent a lot of time trying to implement manually. This is one of the education themes for schools that offers you an option of highlight courses, special college events, faculty members, testimonials and more. You can also create the latest events and post updates concerning stuff such as admission and examinations. Once you decide to use the CMS themes, the next part will be to decide on a good WP theme. If you are getting confused by a wide range of options to choose from, you do not have to worry as we got you covered. Here is an exclusive compilation of modern, striking, and practical educational themes, perfect for your academic institution. This WP theme creates a sense of warmth with its yellow color, welcoming design and an array of powerful tools. It presents great flexibility with different layouts and demos. The layouts can be further customized to suit your needs using the page builder plugin. The theme has a beautiful balance of effectiveness and bold presentation highly shown by vibrant accents. It is packed with a wide range of features that make learning interesting such as discussion forums, quiz management, student and instructor profile, lesson management, free translation, and student certificate on completion of the course. Students can have easier access to courses on the site by using the search boxes. Instructors need to create SEO-friendly content that will not only attract students but also make sales. The theme has a perfect design that displays different parts of the site without causing confusion. A student can submit a quiz or assignment done just like in the traditional school set-up. It is also streamlined, and the content is accessible on desktop computers or mobile platforms. To make t inclusive, it has a customizable learning management system. Setting up the theme is easy and no coding knowledge is required. The beauty of that WP theme is that it gives a colorful and inviting approach to studying. The accessibility to premium features and SEO plugins at no extra cost is amazing as you can optimize your website. The add-ons increase productivity as instructors can assign courses and hand out certificates. The endless features of this theme make it stand out as a great and ingenious tool worth your consideration. This is an education theme for schools that are both practical and aesthetically pleasing. It comes with colorful accents and a great presentation to showcase what your business does. It also has a page builder that makes it possible for you to create custom page templates. The templates have content blocks such as registration forms, popular courses, latest blog posts and much more. The theme also supports mega menus and this means you can display any kind of content on the main menu. This theme is very popular and this is for a good reason; It is modern, flexible and supported well by the ThimPress team. It is a suitable choice for users with a school, college or online tutoring platform as it is able to integrate with the LMS plugin LearnPress. Its expansive functionality makes it a great choice for a simple information site or an education portal site. You can use the Drag-and-Drop interface that makes it easy for you to create online courses. There are also shortcuts that are meant to simplify the life of the instructor as he builds new quizzes, lessons or questions. The beauty of Rara Academic is that it is a clean and professional WP Theme that has been built ideally for educational institutions. Whether you want a solution for Kindergarten, primary school, high school, college or University, Rara academy is the best choice. Responsive and mobile friendly design. This means that you can have a site that looks great on mobile or tablet devices. Highly customizable. It comes with major features such as custom menus, full-width banner, CTA buttons and a section for testimonials. You can get custom widgets that you can use to showcase your popular posts, recent posts, and even social media links. Seo optimized. This education WordPress theme can also be optimized for the search engines. It is also translation-ready. Speed optimized. The sites that are slow and laggy offer bad users experience and can increase your site’s bounce rate. The fact that Rara Academic is optimized for speed means your site will run smoothly and will be able to load quickly. This offers an optimum experience for the user. Great documentation. It is easy to set up a site using Rara Academics as it comes with extensive theme documentation that can be used to guide you via the whole setup process. This education WordPress theme is a well-integrated solution for education service providers. The courses are easily accessible to students and it is easy for instructors to easily develop courses. It is visually striking with great features for both students and instructors. It has an interactive interface, fast loading time, and a smart search feature that makes it easier for students to get courses. flexible. The theme has an events calendar to enhance the importance of time sensitive seminars and courses. The Redux Framework used in this theme gives you the power to dictate the final look of your site by changing the configuration options. Among the features you can change include video and photo galleries, blog skin presets, and event templates, intended to make your site more functional and engaging. Part of the package also comprises of custom sidebars, multilingual and translation, 878+ google fonts, 24/7 support, and a friendly messaging system. A revolutionary slider that can help your site to stand out from others. It has dynamic and stunning sliders together with a wide range of animations. Custom widgets and sidebars offer you maximum flexibility as it becomes possible for you to categorize courses and content. It is possible for students to leave courses reviews and spread out words about the learning content. This can go a long way in helping tutors to maintain high standards. You can publish blog posts and create events that are engaging and inspiring to the learning community. Integration with MailChimp to help you manage your subscriptions in a better way and keep subscribers updated. Use WooCommerce to set discount and prices and enjoy secure and easy transactions using Paypal. Integration with MailChimp to enable you to manage your subscriptions in an efficient way and ensure that your subscribers are satisfied. To further enhance your site, you can alter its header appearance by choosing to make it solid or transparent. The animation effects accessible from the course slides will excite your students. You can cater to everyone by offering both free and paid courses. Its blog feature makes it easy to share insight and ideas on different topics. With its assortment of well-integrated features, Masterstudy is a perfect choice for you. Whether you are a tutor or an educational institution, you can benefit from its functionality and brilliant design. Beauty and refinement are what defines this education WordPress theme. It has a stunning combination of professionalism and responsiveness. It separates itself from the rest with its impeccable design and a wide range of features and tools from LMS plugins to great demos. The developers of this theme took a different approach and instead of making the theme basic, they came up with complex features that make it possible to create an outstanding educational website. Eikra makes it easy to illustrate the splendor of your website while offering accessibility to students and instructors. It has a powerful admin panel, variety of colors, 12 homepage layouts, and Google fonts all wrapped up in a friendly platform. The theme takes care of international students with its translation feature. The header and layout of the page are customizable. It focuses on giving all students a lively experience no matter their educational level. Not only does it have a course directory, but a complete online education center to cater to all students needs. Staff members can alter their profiles and present courses in the detailed layout using the page builder plugin. The education WordPress theme has a learning management system which makes it easy to develop quizzes, lesson schedules, and course curriculums. WooCommerce compatibility and integration make the payment method safer and flexible. This theme comes with complete documentation to make the most out of all features. It is a powerful, adaptable and customizable theme, perfect for an educational website. This is among the best free education WordPress themes for the school that is great for creating a school, college or university website. It makes it possible for you to customize and tweak your site using a live preview. This enables you to preview all changes live before you can activate them. It also has an elegant and clean design that offers a lot of features and flexibility. It has a custom section that is a great choice for adding a portfolio, videos and client’s details. The theme is also fully responsive, and this makes it look great on various devices from mobile, tablets to desktops. A section for news slide. Option for a custom header. An option for menu alignment. The developers of this education WordPress theme have managed to create a responsive and well-integrated solution to building interactive educational websites. It is ideal for all levels from preschool to high schools. When using the theme, students can make the most of essay writing services by EduZaurus to increase their performance. This theme creates a beautiful umbrella for all school needs with its modern approach. Its main focus is on making class and course management easier while showcasing the strengths and achievements of the school. It takes a simplified approach to the creation of profiles, layouts, testimonials, and accessing content. An instructor can set up an inquiry form for students seeking enrollment to fill without going through different channels of communication that might take time. Packed with over 30 templates, Calendar, Sheets, Gmail, Google Drive, and customizable widgets, this education WordPress theme enhances productivity. Integration of Google Classroom into the theme makes it possible to plan video conferences, email grades, real-time communication on projects and schedule tasks. Superwise has a revolutionary slider that offers great presentations experience with stunning animations. Its compatibility with mobile devices makes it easy for students to catch up with their studies anywhere, anytime. Its setup makes it easy for students to understand the course and easily navigate through the site. As an instructor, you can help your students make the right choice in their courses with a simple message system that supports efficient messaging. You can even develop a structure of questions your students can ask if they need help with their studies. You can further customize your site and take advantage of the numerous plugins available. What better way to engage students than with the poll feature which allows you to know what your students think of the available content and what they prefer to change. It gives a new experience where students have the chance to give feedback and make appropriate suggestions. Thanks to its beautiful design and powerful features, this theme is great for your website. Educational institutions need a multifunctional and dynamic education WordPress theme that will enable them to attract students and deliver great content. WPLMS offers a modern approach with its main focus being on effective learning management to kick-start and maintain your online school. It is best for schools that offer paid courses as it simplifies the creation of courses by instructors and gives students easy access to the content. Students can communicate with their instructors whenever they want and this creates a healthy study environment. The education WordPress theme has great social features that make studying fun with user groups, activity recording, notifications and private messaging. Locating something on the site is easier thanks to the intuitive and responsive interface. Free updates ensure it remains current and the plugins don’t get outdated. It is compatible with different plugins like Visual Composer, WooCommerce, Layer Slider, among others. With WPLMS you have great customization options to make your site appealing and interactive. This WP theme includes plenty of useful learning management plugins, and this increases its functionality. Students can update their profiles and manage their assignment and quizzes. Instructors have the power to adjust course prices and set schedules of events. Its extensive functionality makes it an incredible choice for institutions focused on paid courses. The instructor can award certificates, evaluate assignments, and provide different types of quizzes. It has a well-constructed theme that will allow you to create a beautiful learning atmosphere for your students. This theme is not only user-friendly but it works perfectly well for creating and selling online courses. It is also a great choice for the development of the traditional school or college website. Not only is the theme ultra responsive but it is also retina-ready with a wide range of options for the backend customization. It has tons of preset skins that you can choose from. The WP theme also supports ticket and events through Events Calendar as well as Woocommerce. It also enables course enrollment and payment. Setting up an educational website involves creating an informative platform where students will not only select courses but also prepare them for a successful career. Kingster caters for institutions that focus on providing the best courses with ease of accessibility at their forefront. The education WordPress theme provides a professional style with its mix of green and blue color accents which offer an ambitious and intelligent approach that makes it attractive to new students. It certainly stands at the top of the list when you consider a theme for your educational institute. This is among education WordPress themes for schools that are perfect if you intend to set up a website for a high school, college or any institution offering online courses and in need of a responsive and effective theme. You get two different customizable home page layouts with a free demo and a couple of pages. 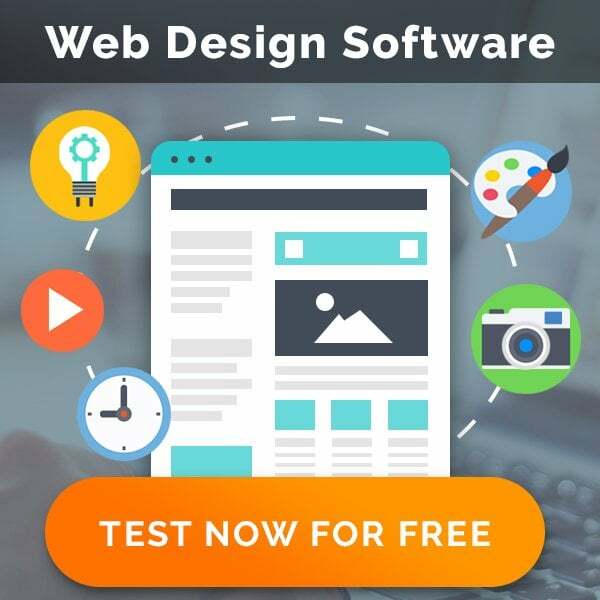 The demo will help you create your site faster without extra help. Once set up, you can edit the theme with content to match and you can play around with the available plugins for additional customization. You can achieve an outstanding layout with access to 19 header styles, color picker, revolution slider, WooCommerce, and a great admin panel. 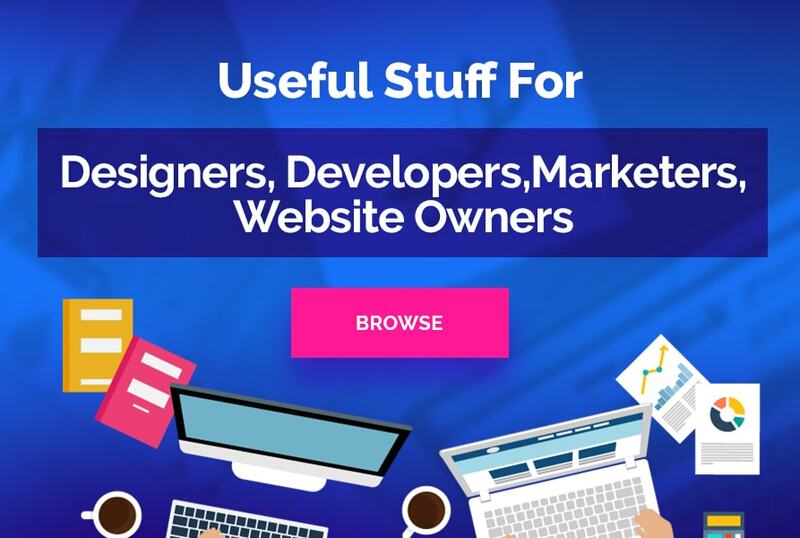 All these and more will help you enhance the productivity of your site by giving students easy navigation and accessibility to their courses and assignments. It offers a landing page where you can create all relevant information concerning your institute which has proven vital in turning visitors into potential students. The admin panel offers greater functionality as it allows you to set up a maintenance schedule of the site, perform updates on available plugins, change the font with more than 770 Google Fonts available, and access skin presets. The beauty of this education WordPress theme is that you can use your own custom-made fonts if you prefer. The final look of the site fully depends on your creativity. You can use one sidebar for each page or go for multiple sidebars. It also comes with 14 different blog designs, 6 gallery designs, and 9 portfolio styles. Your students will appreciate its mobile compatibility that brings an exciting and flexible approach to learning. Your potential students will find it easy to locate your website since the theme is SEO optimized. Every small crucial detail is considered, giving you a complete package that handles both productivity and usefulness. The support team provides excellent feedback within a few hours. If you are looking for a professional look for your website that is both attractive and functional, Kingster is the right choice. What to look for in an Education WordPress theme? The increase in popularity of online education brings with it hundreds of educational WordPress themes for schools that offer to provide the best features. There are vital factors you should bear in mind before settling on a theme. First and foremost, the theme needs to have a friendly interface, great customer support, and perfect design. Ensure you get a premium package that offers great functionality and awesome display of your content. The theme must be able to support full courses with ease of transition from one page to another. Finally, the installation should be straightforward. Most education WordPress themes come with detailed video tutorials and proper documentation. Alyssa Johnson is a front-end developer by day and passionate blogger by night. Alumni of Pratt Institute, NY, she is obsessed with content creation and the use of technology to create satisfactory results for her readers.